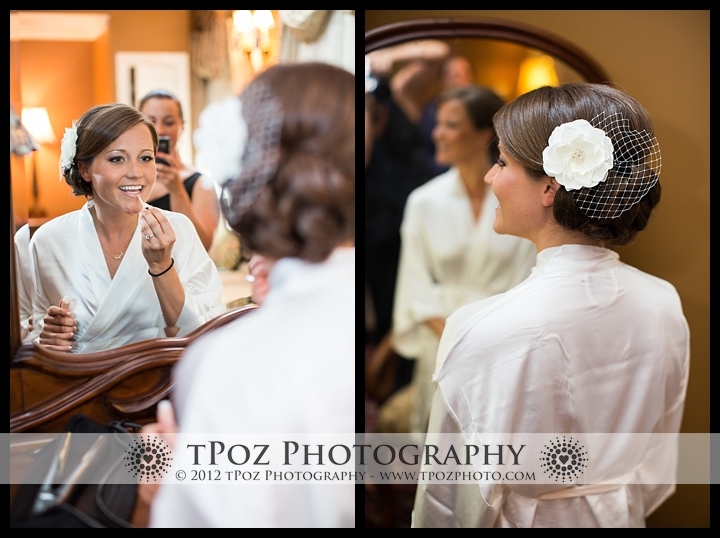 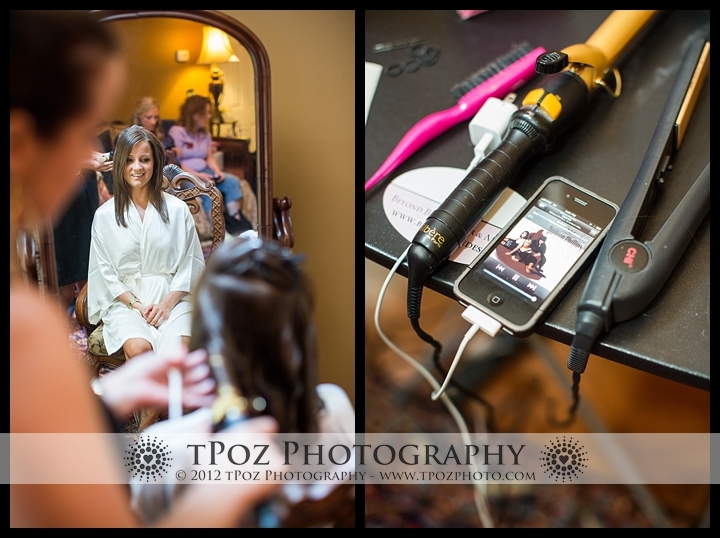 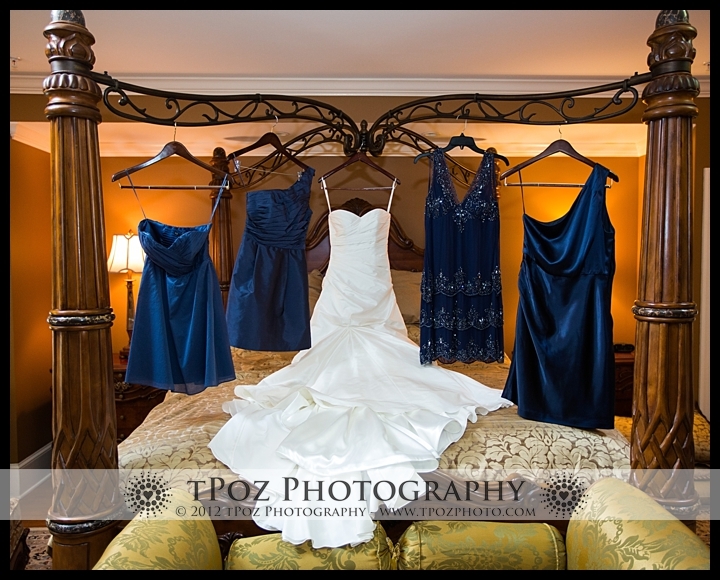 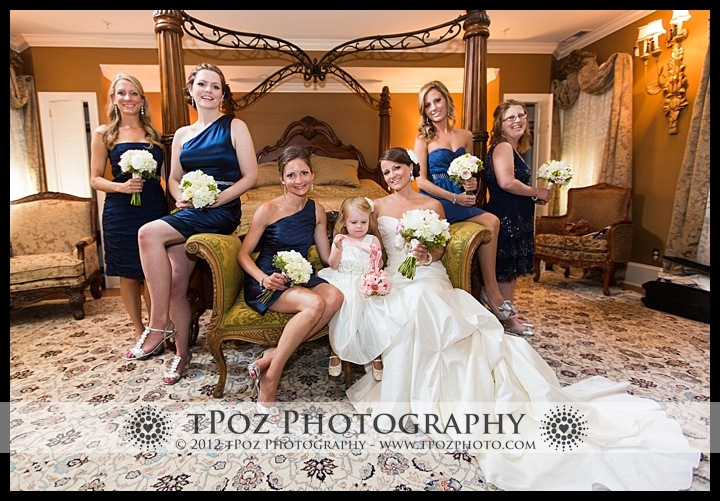 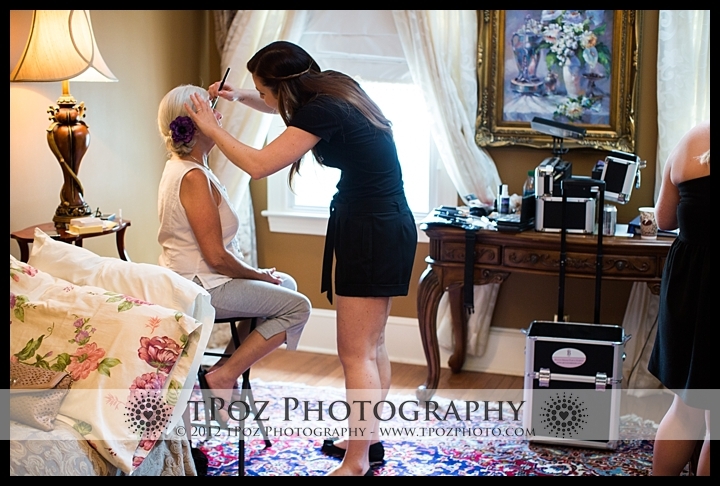 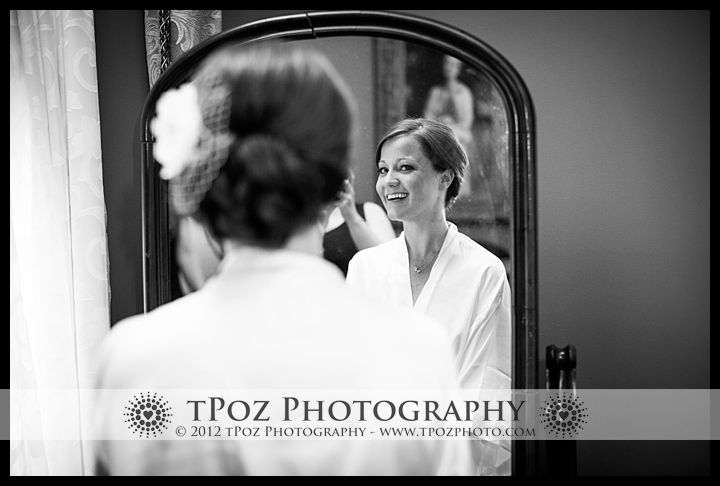 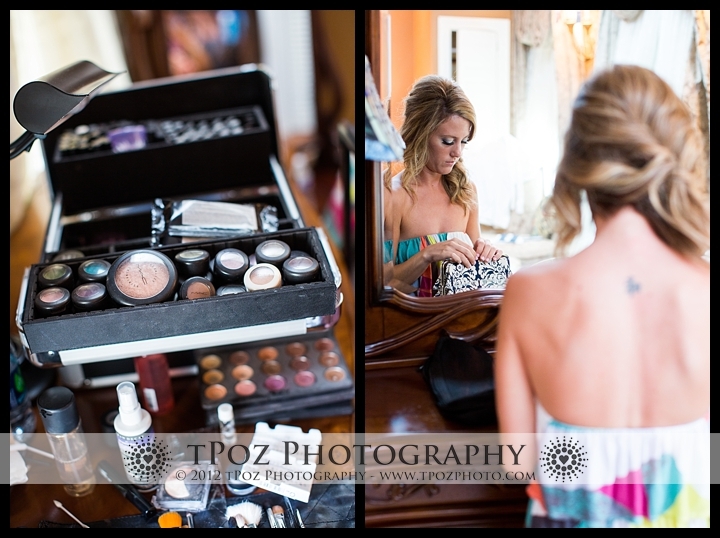 Wilson Phillips was playing on the iPod when I walked into the room at the 1840’s Carrollton Inn, and there was a quiet excitement in the air surrounding the girls as they prepped for the big day. 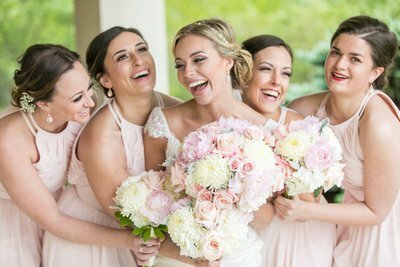 Kelly sat calmly as her hair and makeup were completed by the girls from Beyond Brides, and the bridesmaids sipped on sparkling mimosas. 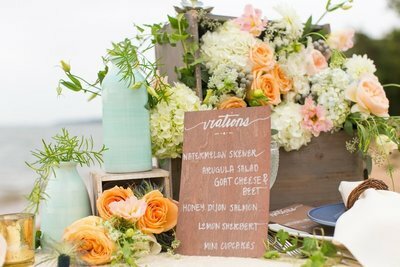 My Flower Box Events arrived to deliver the lush, beautiful, and each one unique, bouquets, and everyone gushed over how gorgeous they were! 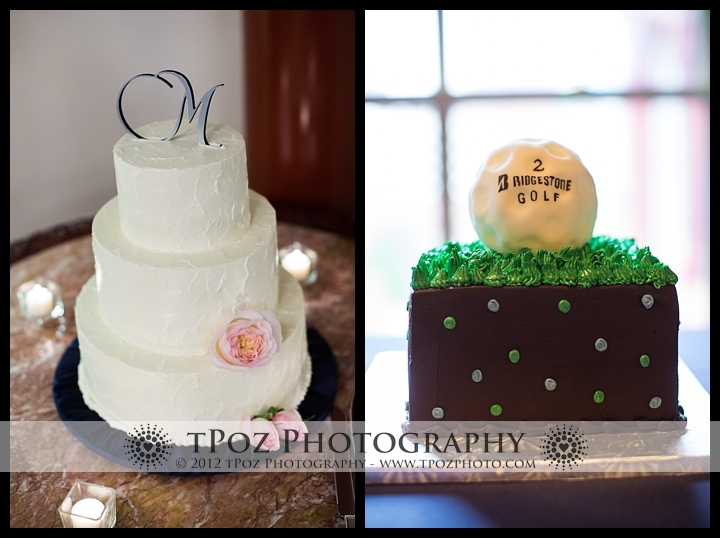 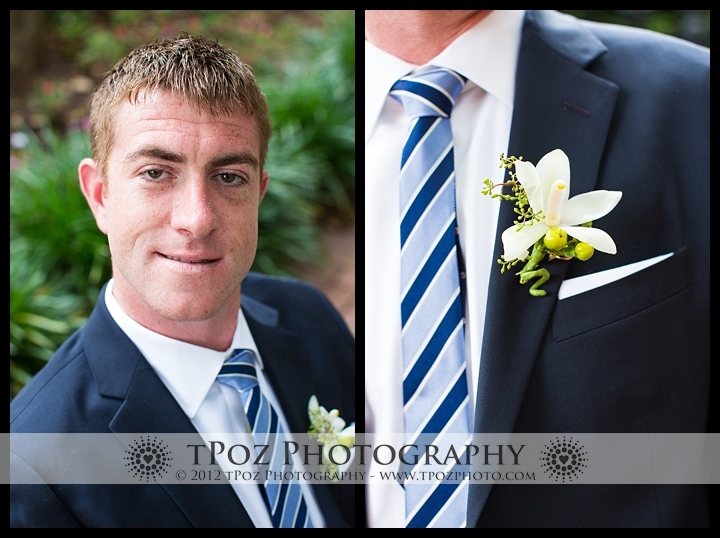 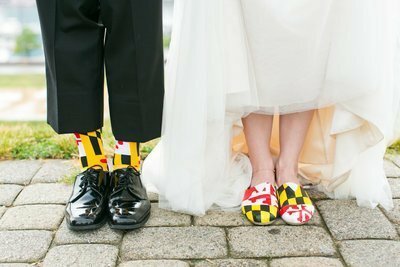 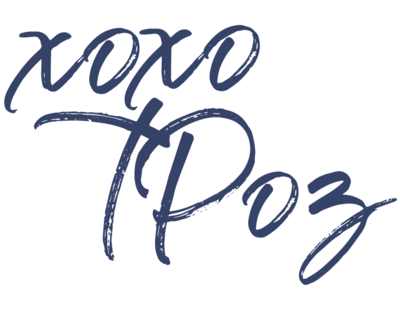 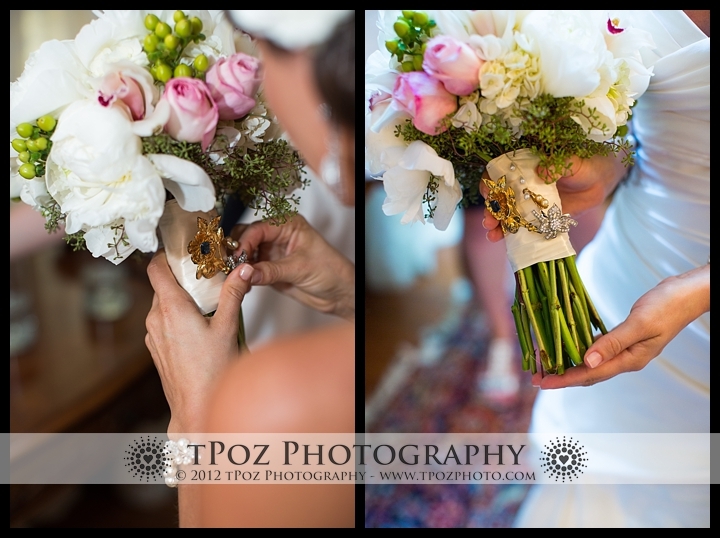 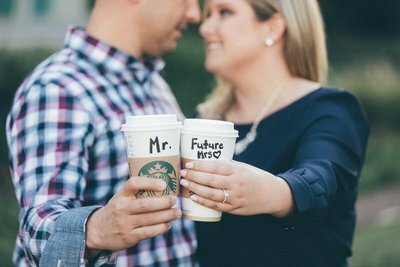 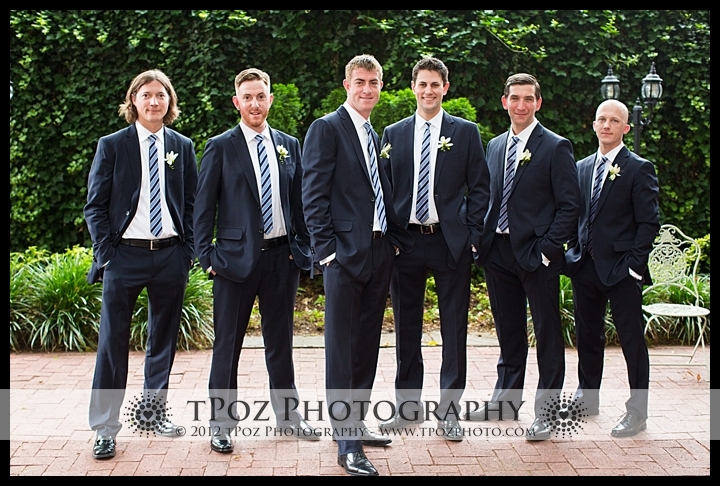 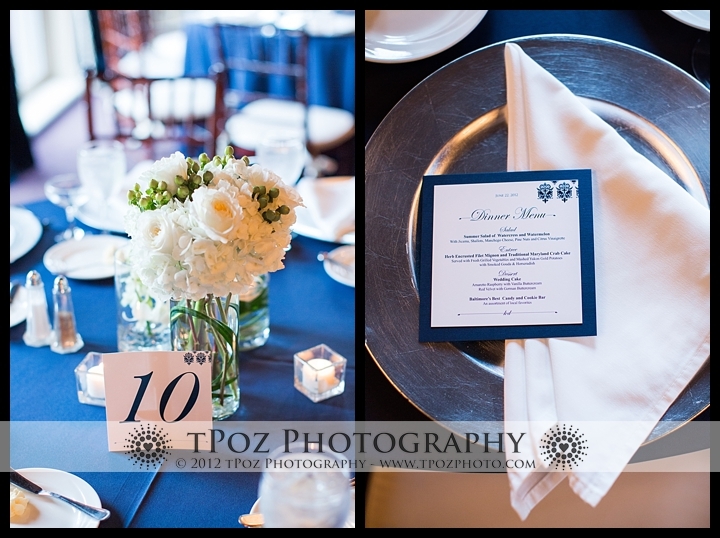 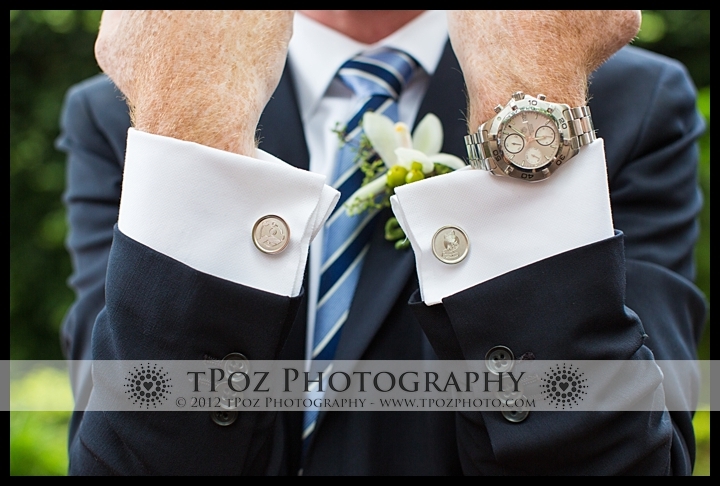 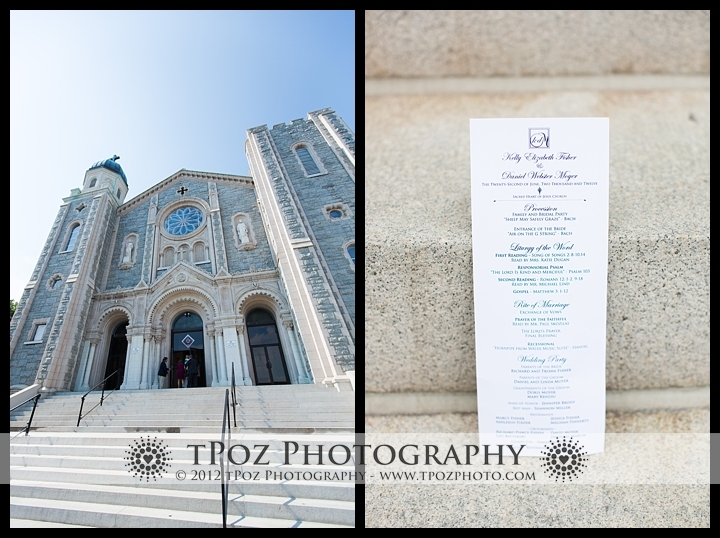 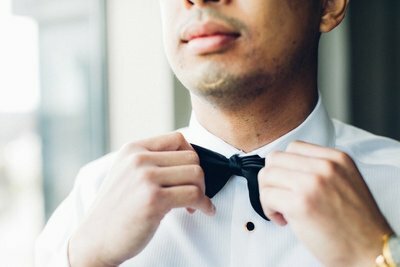 I simply adored the Baltimore touches to their wedding – the Natty Boh guy and the Utz Girl made several appearances throughout the day, including on the groomsmen’s cuff links! 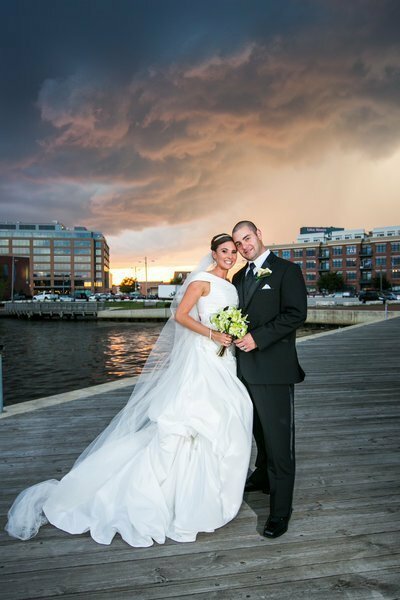 After a beautiful ceremony at the Sacred Heart of Jesus in Canton, we beat the incoming storm and got the photos done in a flash! 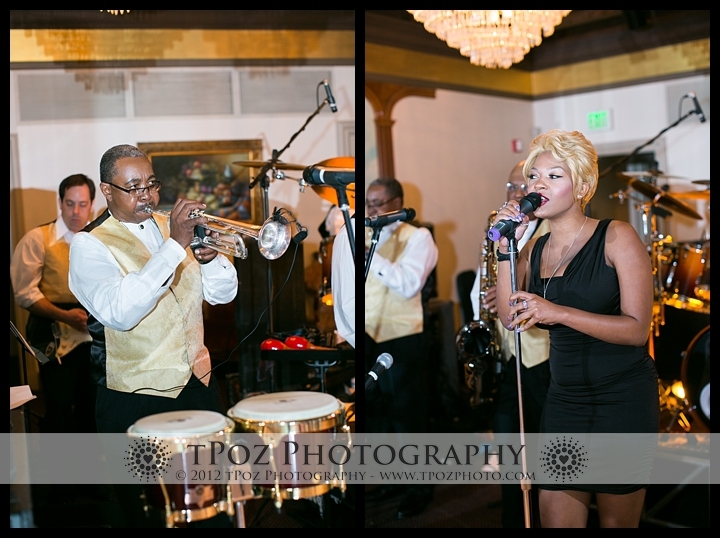 At the 1840’s Ballroom, soft tunes played by the band Horizon turned into lively jams and not even a long-winded best man speech could slow this party down! 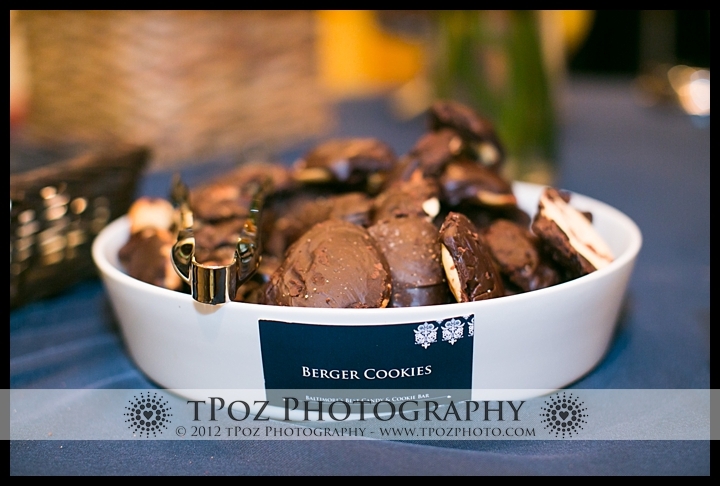 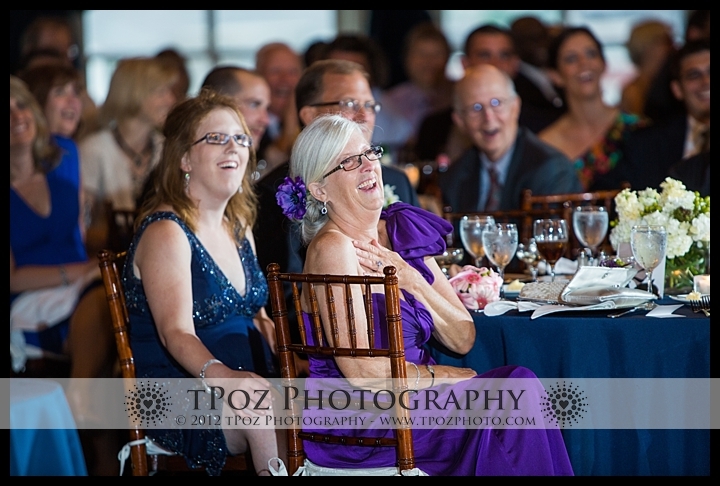 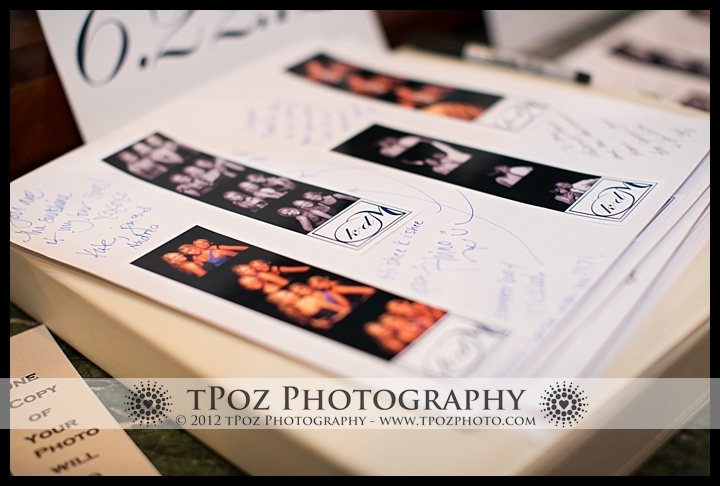 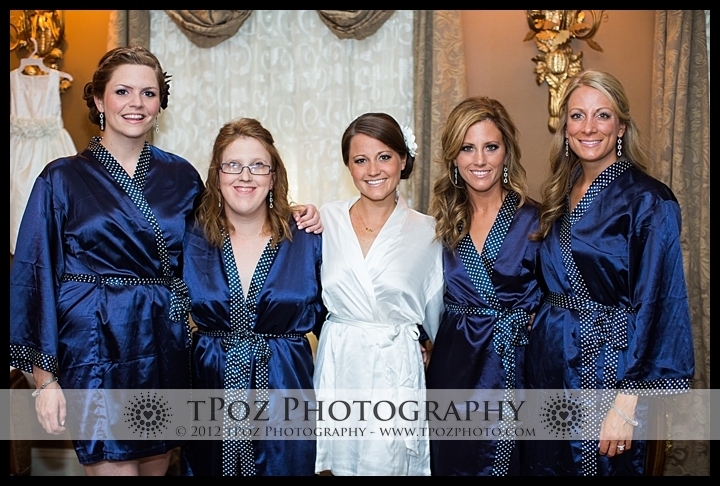 Guests enjoyed the ShutterBooth photobooth, and a “Baltimore’s Best Candy and Cookie Bar”. 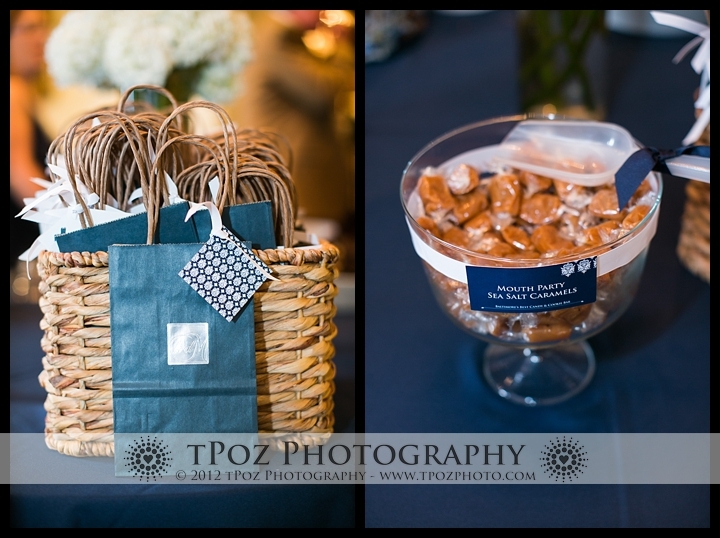 You all already know how I feel about one of the items in the selection…this is where my love affair with Mouth Party Sea Salt Caramels was born! 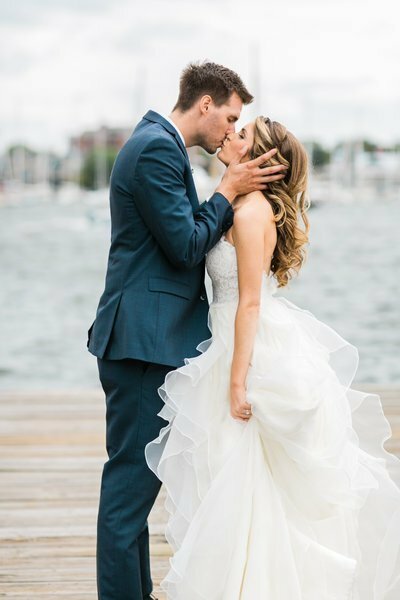 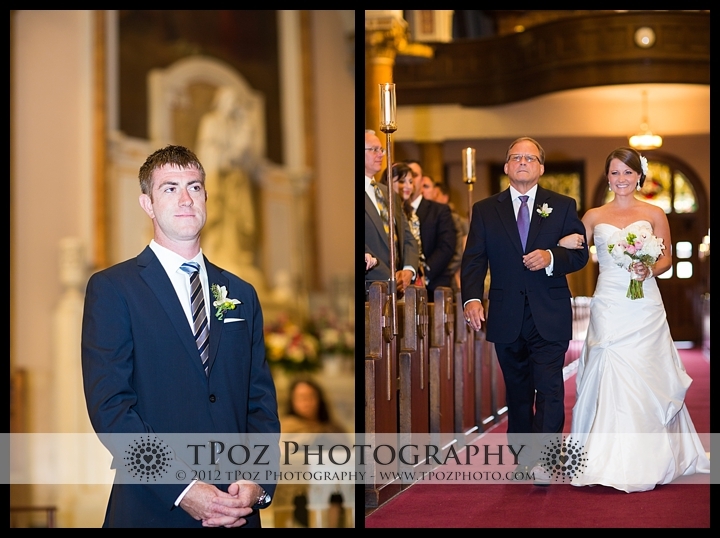 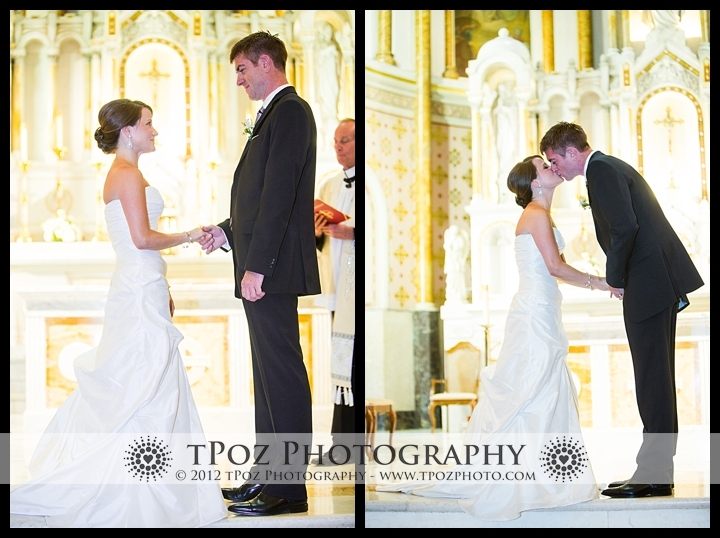 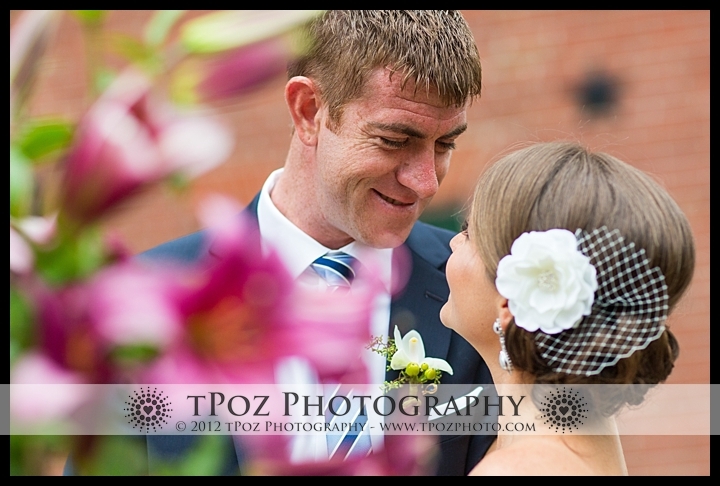 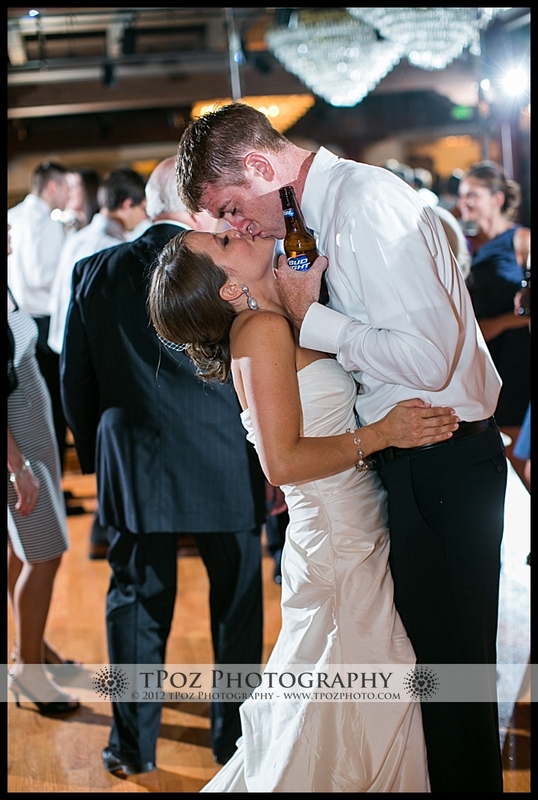 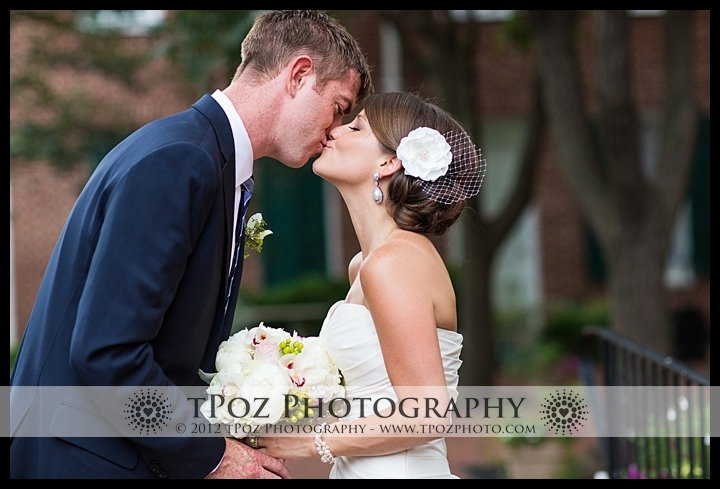 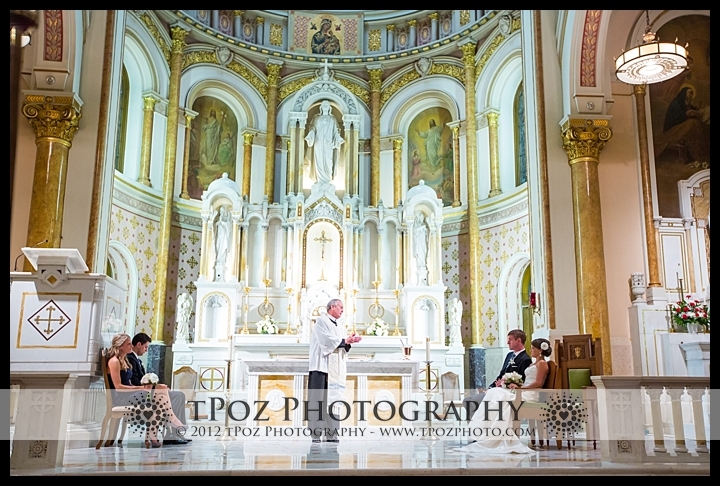 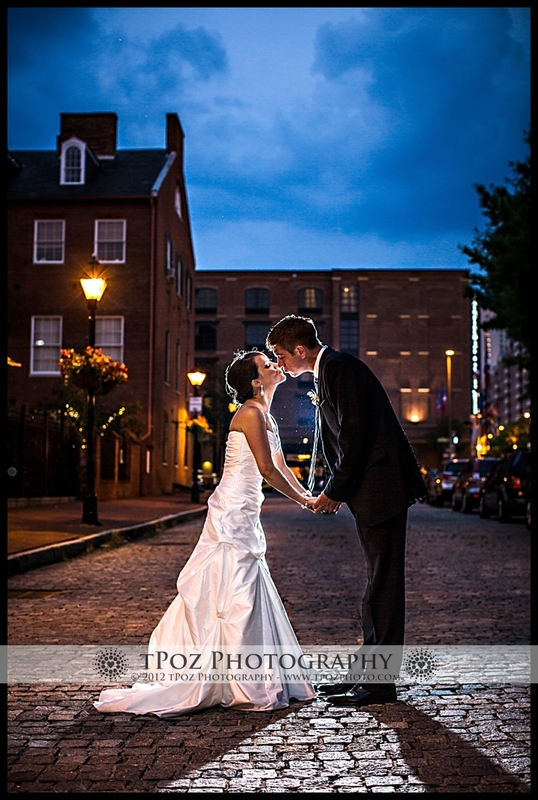 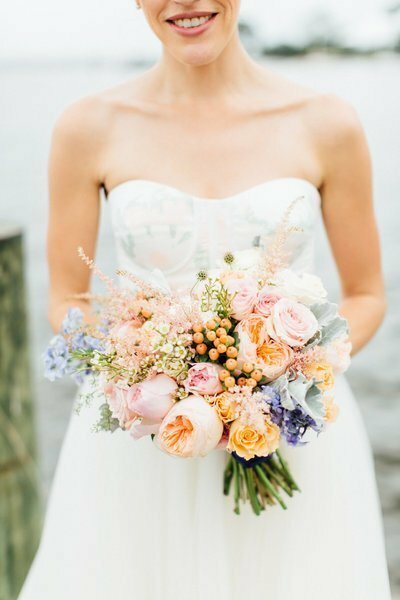 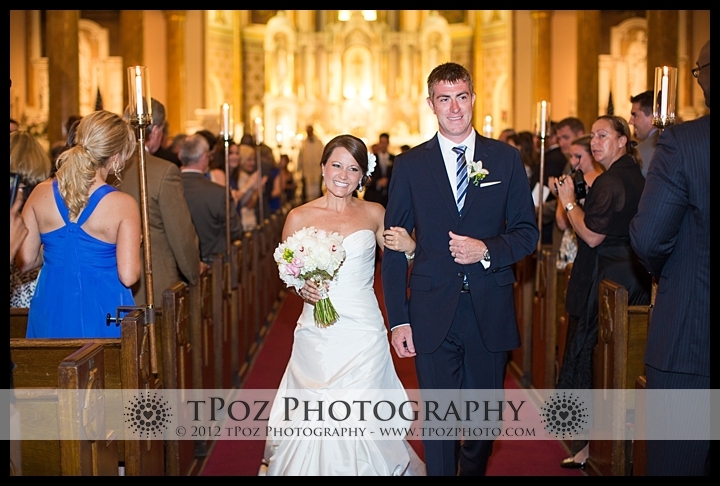 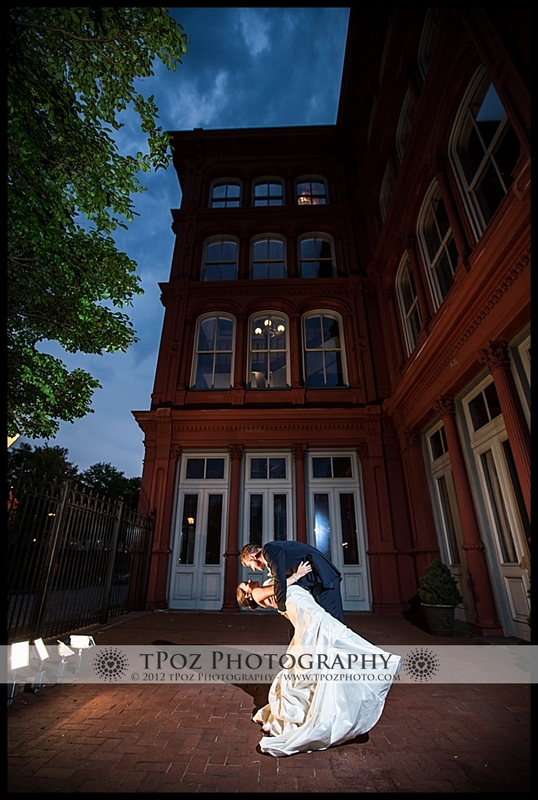 What a seriously beautiful couple, with quite the amazing Baltimore wedding! 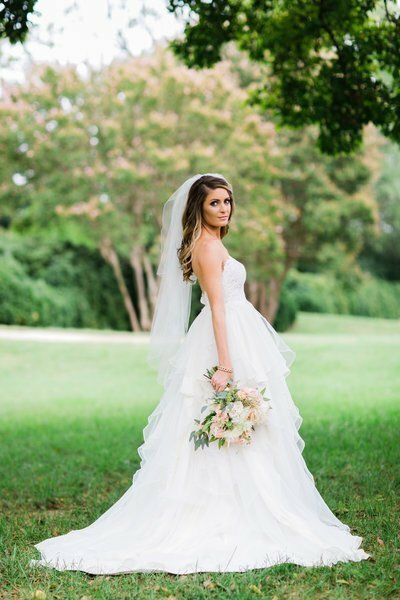 Kelly – I don’t think it’s possible for you to be any more stunning. 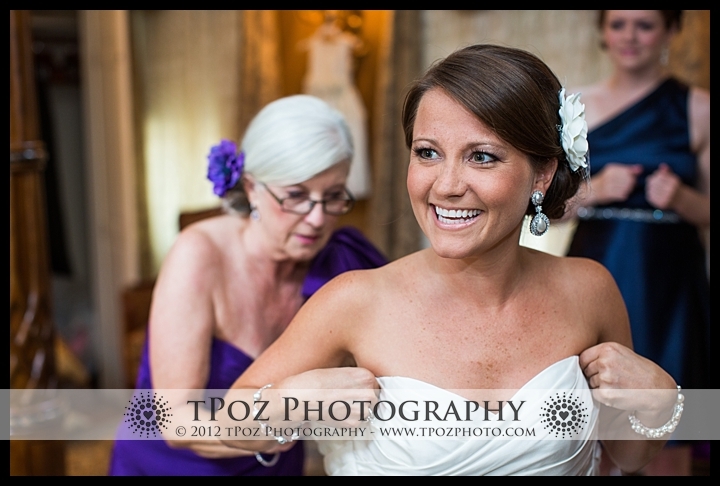 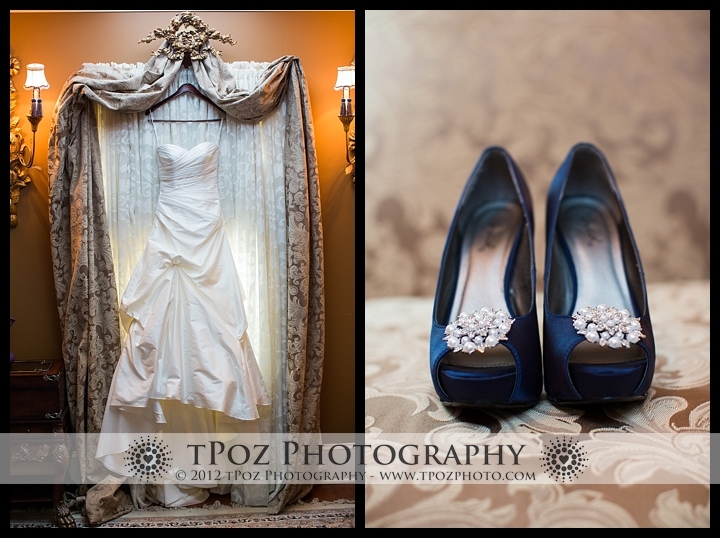 I loved the simplistic elegance of your Augusta Jones gown, your hairpiece, and your jewel-adorned super-tall heels! 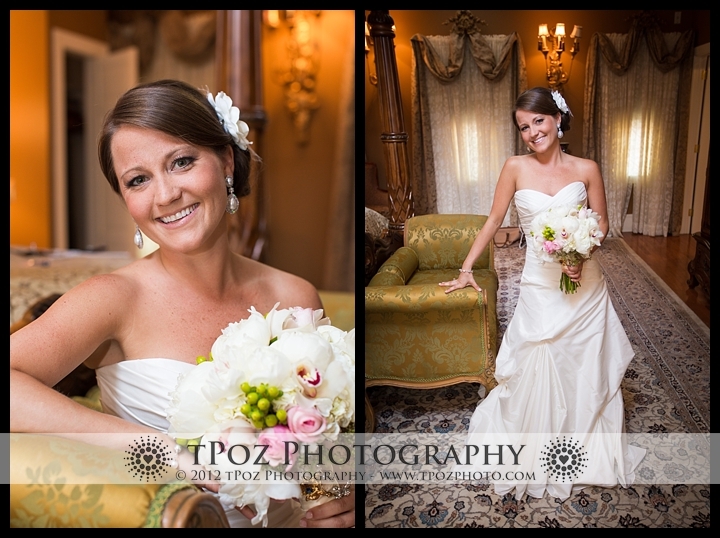 Dan – you’re a lucky lucky man to have such a beautiful and kind wife. 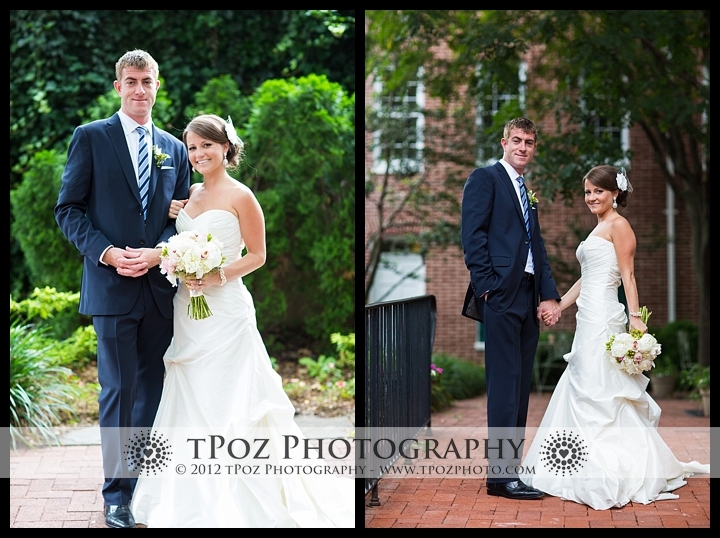 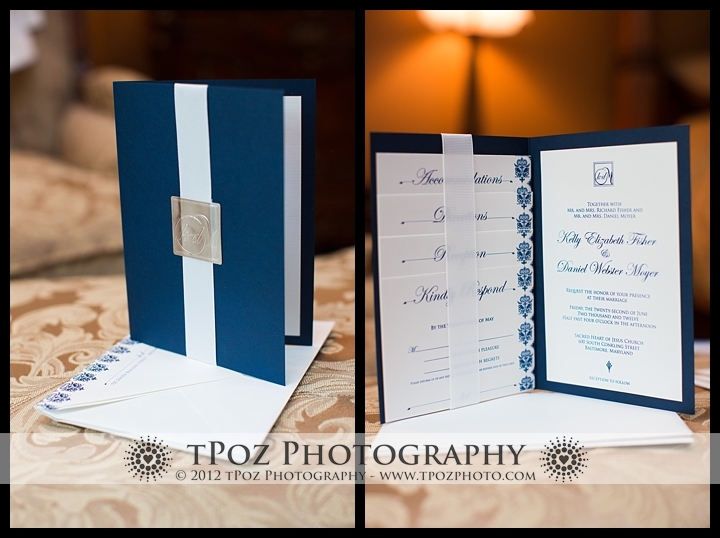 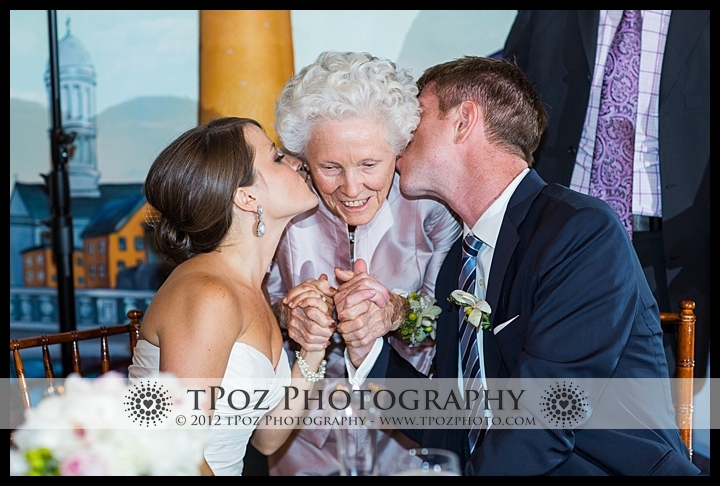 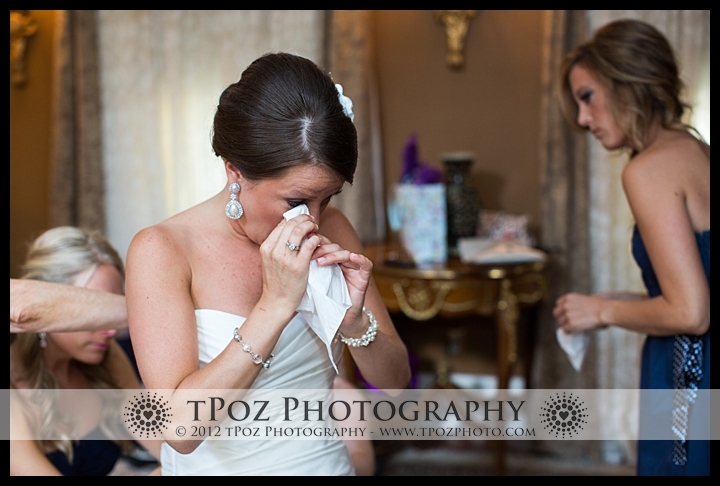 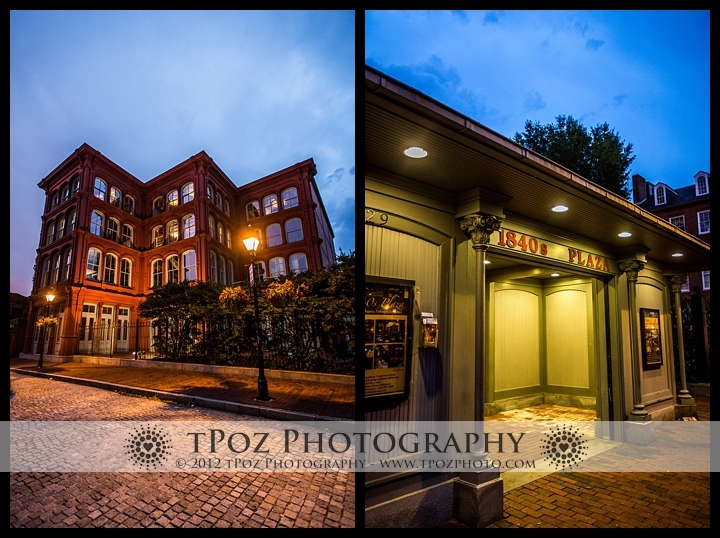 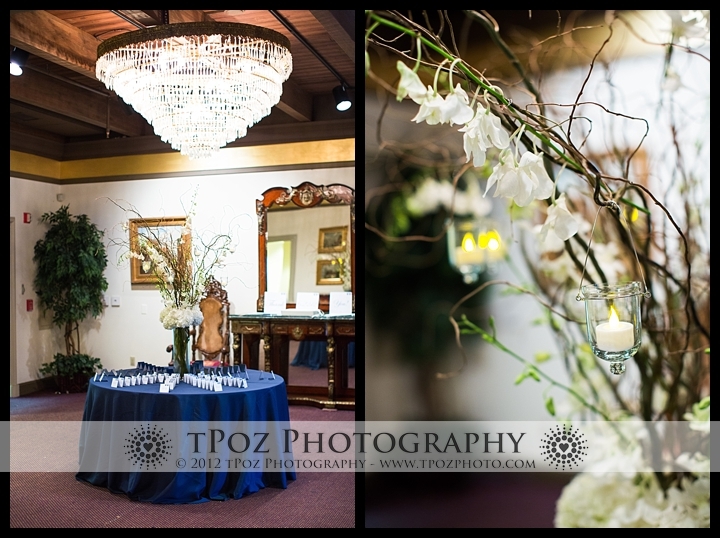 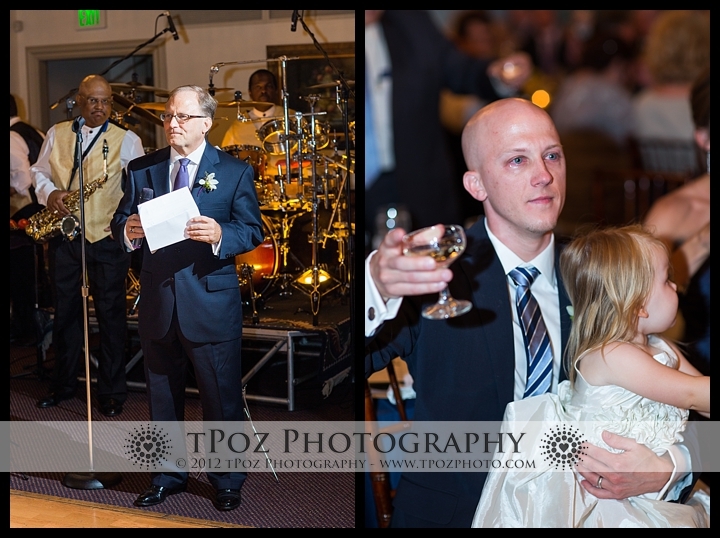 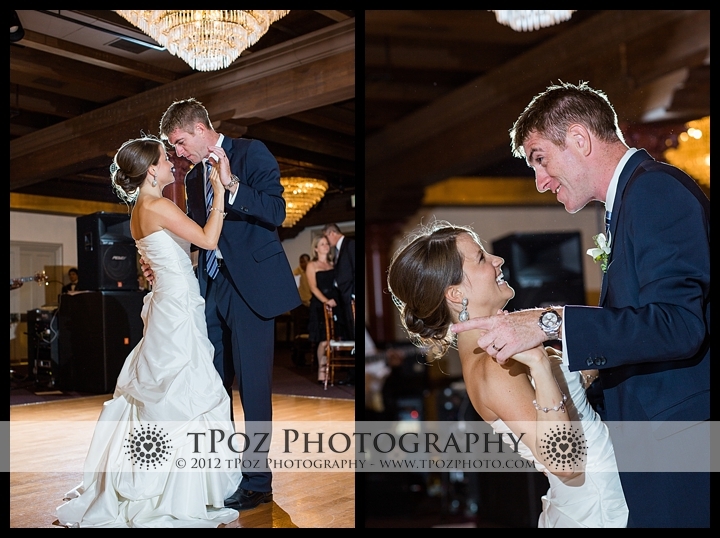 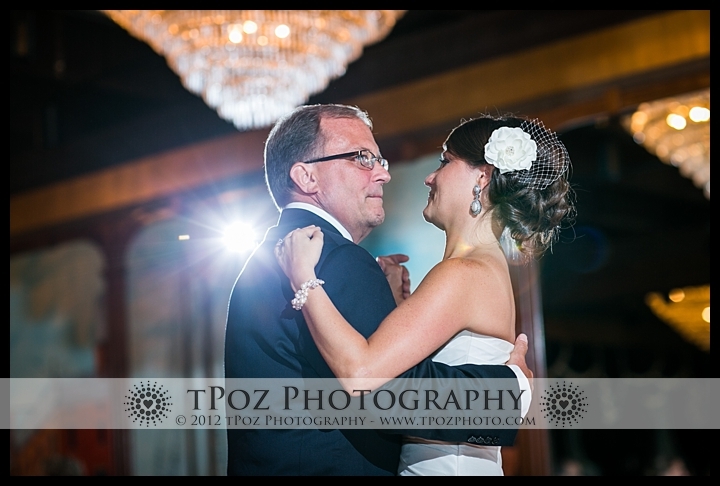 Thank you both for inviting me to capture your special day – I had a great time with you, and your friends and family. 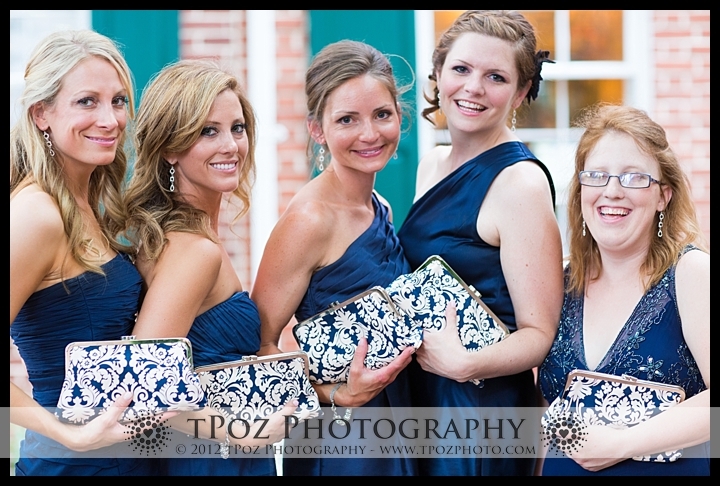 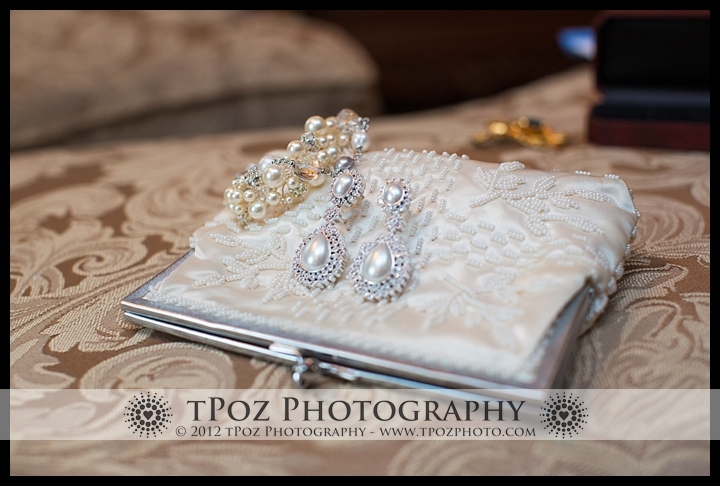 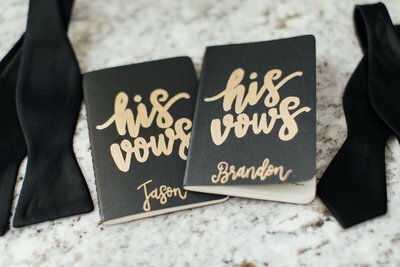 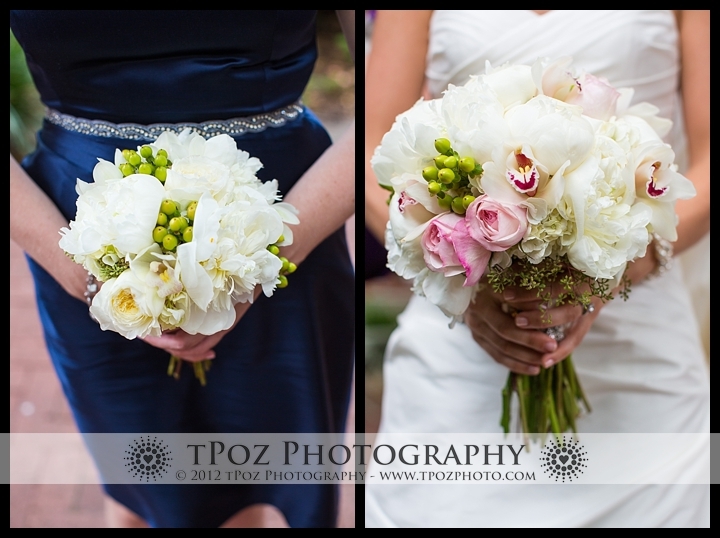 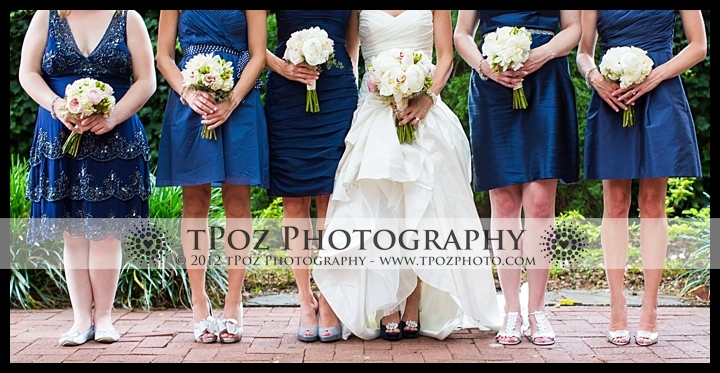 those bridesmaid clutches are adorable!! 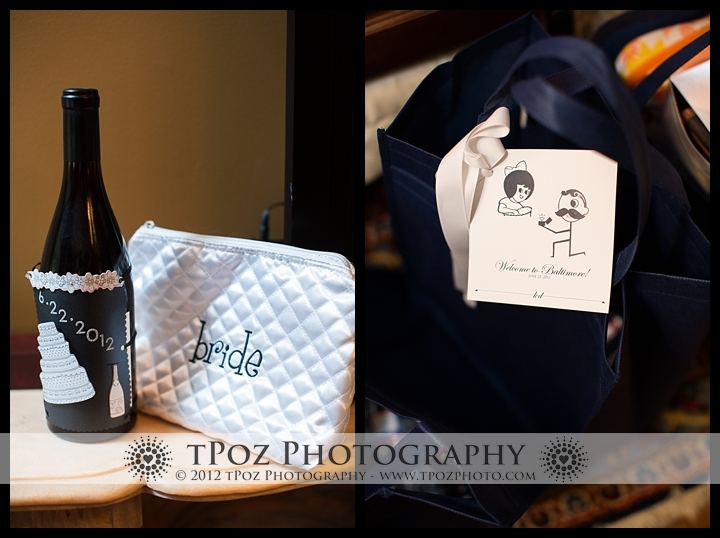 Congratulations and best wishes to the newly wed.